Jason Sommerville and his company will go to the Peppermill Resort Hotel, where they will have an opportunity to take part in the Run It Up Reno VIII which will take place from April 12-22. This stop is considered the most entertaining circuit by many as it will offer a $700,000 guaranteed prize pool which will be available across a wide variety of games and buy-ins. Some of the events that poker lovers should pay attention to include the $600 buy-in Main Event for $250K GTD which will take place on April 19-22, $235 Pro Bounty on April 15, and the $235 Black Chip Bounty on April 16. Furthermore, the tournament will also feature the $440 Mini Main Event that will last from April 12 to 14 and the $1,100 Thursday Thrilla that will last from April 18 to 19. According to RIU Reno officials who are very excited about the upcoming tournament, there will be some huge poker personalities during the tournament. 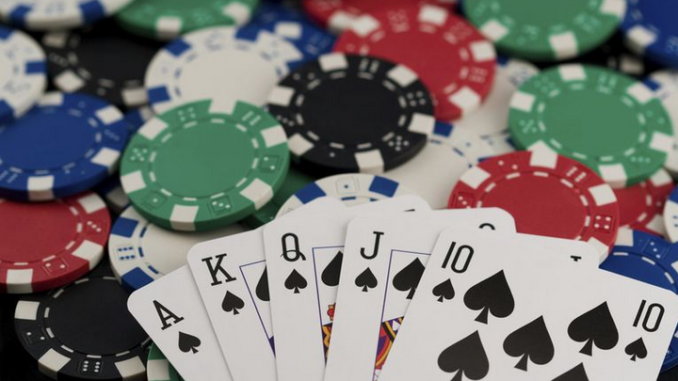 Some of the names that are already popping up related to the upcoming poker spectacle are Brad Owen, Kevin Martin, Arlie Shaban, Ricky Guan, Fintan Hand, and Andrew Neeme. Furthermore, the tournament will host some of the living legends at the moment, including the 2003 WSOP champion Chris Moneymaker, Joe Stapleton, Marle Cordeiro, Johnnie Vibes, David Tuchman, Tyson Apostol, and Jamie Kerstetter. Some of the events will be broadcast live on television, as poker lovers will be able to watch them on runitup.tv. The footage will be streamed all over the world with the first event being the Mini Main Event on April 14 at noon. All streamed events will begin at noon except for the Thursday Thrilla Day 2 (Final Table), which will begin on Friday, April 19 at 2 pm. The Main Event Day 2 and Day 3 will be streamed on April 21 and 22, with the stream also starting at noon. Apart from poker events, there will be a lot of other social events that make this tournament so special. Guests will have an opportunity to enjoy the welcome party at Sorrento which will immediately be followed by a Cash Game hangout. This hangout will happen once again the day after with the fight night watch party being the main activity for the day. Furthermore, April 14 is reserved for a stand-up open mic evening which will be followed by a scavenger hunt on April 15. There will be several more cash game hangouts as well as a Karaoke Party which will take place at EDGE Nightclub. In other words, everyone who decided to visit this tournament will not only enjoy great poker events but also enjoy some great social events where they can meet new people and hang out with other poker lovers.